29 October 2015. Filed under category General Philosophy, Music - General. To me, this is simply people rationalising what is effectively a morally corrupt decision, i.e. stealing media content. There are other possible responses such as “I don’t care and will continue to get free music as long as I can.” At least those people are being honest. I find it more interesting considering the thought process one goes through to excuse questionable behaviour and avoid any guilt or consequence. I was inspired to ponderance by an album review posted on a site I go to frequently called Ripple Music. I wrote a comment which was posted, but decided to collect more thoughts on the subject herein…. I was having a conversation with a couple of good friends a few months ago and the issue of streaming services came up. One friend stated that he still bought CDs because he was “old school that way”. It was not necessarily because he had a compelling desire to support the artist as much as that was just the model he was used to and it seemed fair enough. The other friend was a great proponent of Spotify and loved the convenience of it, paid a subscription and assured us he would go and see a band live that he liked and listened to regularly on the service….although that had not actually happened yet. SF: But why should I have to wait? I know it is “illegal” to download but I was left with no choice. I would have been quite happy to pay a modest fee to watch it if it was made available by some legitimate service either at the same time as it is broadcast or a few hours later. But they don’t do that. You either have to pay for a television channel you don’t want or wait for the boxset. Really it is their own stupid fault that I had to download it. Spotify Friend raises a “valid” point. At least in his mind. Of course, he has just rationalised theft. The reason why there is a period of exclusivity with a particular channel is because the producers of the show are trying to maximise their income by going with the best license option. We live, for better or worse, in a capitalistic economy where any person in business would do the same thing. 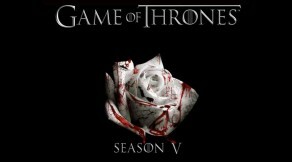 Game of Thrones is entertainment (bleak as it may be!). By controlling access to it the producers are not starting illegal wars or supporting child slavery; nor are they denying you the right to clean water. They just want you to pay to see their show….or don’t pay and don’t see it. The producers are entitled to make business decisions which they believe are best for them. You are not entitled to obtain their product illegally if you don’t like their business choices. Incidentally, if you were faced with an owner of a water resource denying you access to water (so you could remain alive) for the purposes of maximising profit I would say, “go ahead and steal the water.” Access to water should be a fundamental human right. Entertainment is a little different, don’t you think? I used to be that guy; not a user of Spotify [I never sunk that low] but I downloaded music, movies, TV series, whatever I wanted, although I cannot remember rationalising it in quite the same way. I think the whole concept and consequences were a lot less understood back then although some of those thoughts of entitlement must have crossed my mind. Self-delusion is why good people do bad things. So, from experience, I understand it is really hard to roll back that sense of entitlement once you have seemingly infinite entertainment resources available, for free. For me it began with curbing the habit and then stopping downloading any music altogether. I essentially learned patience and, if something looked like it was going to be really good, I waited to get it on vinyl. Putting an end to downloading visual media took a little longer. Mostly, I suddenly realised that filling up hard drives with downloaded content was stupid as I rarely watched anything twice. Then I started streaming TV shows after they were broadcast on illegal sites like Megavideo. Eventually the ISPs, presumably pressured by the UK government, started cracking down on these places and it was not possible to access them easily. You would have to search for a while to find a viable streaming source which was really frustrating and inconvenient, until it hit me: it was wrong to stream content without the authorisation of the copyright holder. Imagine that. It seems really simple when you break it down, but that moment of clarity was a long time coming. Now, when I hear about a new band through a review or recommendation, I often check out You Tube to see if I can find a song (e.g. lyric video) of the band. Of course, it is not at all uncommon for entire albums to be streaming so I listen to those too from time to time, although for some reason I prefer not to. You can get a feel for whether you like what a band is up to or not fairly quickly. If I like then I will buy. If it does not grab me then I might come back a few times to listen to the same stream and either start to like it and buy it or forget about it. 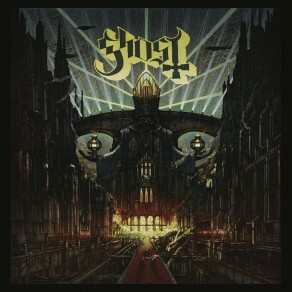 The Swedish band Ghost is a good example. I remember the video for Secular Haze being released and wanted to see what all the fuss was about but, at that point, did not get it. 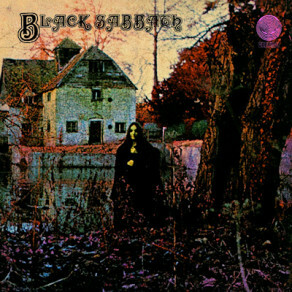 A couple of years later a posting on Blabbermouth of the Cirice video changed my mind completely. The song was amazing. 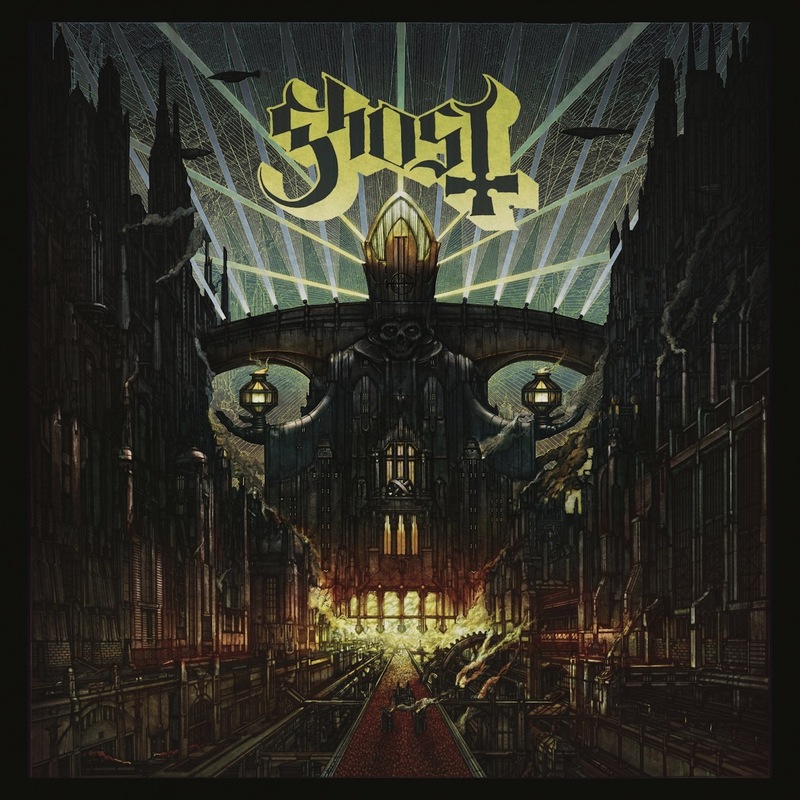 However, because I had previously concluded Ghost was not worth my time, I did find a full album stream on You Tube of Meliora and listened once or twice before I ordered the LP. In fact I continued listening while I waited for the record to be delivered it was that good. Of course, at the present time, the sound quality on You Tube is listenable but often not great. Therefore, to use it as a semi-permanent solution for all your music needs is not viable. That is why having the physical product is better. Some people pay for downloads but I have never done that. I am hesitant due to the bizarre psychology around paying for something in the ether (yet I will pay for a season of Game of Thrones on my TV, go figure). People will allegedly use Spotify with the same idea in mind but if you pay a subscription and can access all music on demand anytime you want, legally, I don’t see why you would want to ever buy a CD/LP……unless you actually value sound quality. However, of course, sound quality (bit rates etc) will improve; that is an inevitability. Spotify is bad (and I discourage you to use it) just because of how revenue streams are distributed…but that is a whole other story. I went through a phase of buying a lot of second hand vinyl from eBay and other sources and I still do fairly regularly. The observant among you could conclude that buying second hand music no more benefits the artist than illegal downloading. But then that is the thing….it is not illegal, it is getting new enjoyment out of an old product, and the stark reality is that more often than not the early pressings of a particular album are sonically superior to CD versions which have been re-mastered (and might be the only thing available to buy new). This is the fault of record companies that put the profit from re-releasing an album above its objective sound quality. I will categorically state that my present preferred music format would be a Blu-Ray with surround and stereo mixes at studio quality bit rates AND a download code to the files (Lossless or MP3) for personal use on a DAP (Steven Wilson’s Hand. Cannot. Erase. came like this – perfect – but few releases do). Alternatively, so long as the digital mixes have good dynamic range then a CD version will also do perfectly well because the science says that humans are not capable of telling the difference between 24 bit 96kHz and 16 bit 44.1kHz audio. However, I see no problem in releasing the higher bitrate version (but not at inflated price) because you may as well get the best quality if available. The theatre of vinyl is still compelling to me and I would happily buy a new LP release of an old album if the sonic quality is maintained from the original master tapes. In reality it is completely random whether a release is actually an improvement on the original. I paid, say £20, for an early pressing of the first Black Sabbath album. I may rather have bought a new album at the same price wherein some of the proceeds make their way back to the artist…but you simply cannot trust the providence of a new release of an old album. At the same time, if I found the album at a car boot sale for £1 then I would go for that because re-use of an old product trumps all. If a download format with some kind of interactive artwork becomes available then that could supersede CD/LP formats. There is no point using resources to press physical products and print booklets if you can replicate the experience digitally. So long as the experience is similarly engaging or superior. If I buy a new LP I think I am entitled to an equivalent download. I have paid for a perpetual license (so long as I continue to own the physical recording) and can legally make a copy for my own use anyway so it seems to me just logical that a one-time-use download code can be made available. This is a common perk of purchasing an LP but not a universal standard. It is just good business sense to make things convenient for your customer. From the artist’s perspective, as I read time and again on Blabbermouth, the view has shifted fairly closely in alignment with Lars Ulrich of Metallica and the court battle fought with Napster over a decade ago. When it happened Lars was considered a money-grabbing prick by a wide section of his own fan base (which is a substantial portion of all metal fans because let’s face it, who doesn’t own a Metallica record?). History proved him right. Do I care if people download Monsterworks music for free? I do, but not to the extent of doing anything about it. Whether or not we sold a few extra copies of an album would not really make much difference to whether the band continues. I do it for the love of making metal and have a day job that supports what is essentially just an averagely expensive hobby. I live within my means which includes being able to record an album at a good studio once a year. And the cost of that itself has come down a lot. 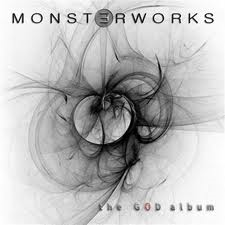 Monsterworks is one band in a swarm of bands that are, in a lot of cases, pretty good. It is impossible to know whether we would have ever made it if we had been born 30 years earlier when there were a lot less bands because of a much higher barrier/cost to being viable. Possibly we would…although maybe we would never have existed in the first place because our music is a composite of influences that arose within the last 30 years….therefore, we would be a paradox and bring the Universe to an end. In any event, illegal downloading and even legitimate streaming for me is a subject of profound disappointment but does not probably affect me in a practical way, simply due to my circumstances. However, if I were in a professional band then it would affect me and whether I could afford to eat this week. Therefore, out of solidarity, I oppose any system that devalues music. At this point I was going to recount a story about a fan from Italy that wrote and asked me to send him The God Album through a fileshare site because he hadn’t been able to find it illegally…but I still can’t quite get my head around how I feel about it (I didn’t respond if you were wondering). The guy was unemployed and had better things to spend his money on…but it just seemed unfathomable to ask a band to remedy the fact that, for whatever reason, its music was not available illegally. There are a thousand issues surrounding the modern music industry and the fate of bands/artists. One interesting point is that, in my opinion, the quality of metal music being produced now is high; far better than it was during the latter days of the CD, before MP3s hit, when albums were getting bloated and uninteresting (on average). Therefore, the metaphorical hunger to create great music is still alive… possibly due to the actual hunger in the bellies of struggling artists! Rock is not dead from my viewpoint, to respond to Gene Simmons inflammatory comment some time ago. Neither will music disappear so long as humans draw breath. However, just because there is good music out there, does not give a right to have it all for free. I believe as a member of human civilisation you are entitled to certain rights which, if you cannot provide them for yourself, should be provided by the state. Those being safety, nutritious food, water, shelter and education. Somewhere connected with that is a right to be happy, but that comes in many forms and I think if you have the others (particularly the aspect of safety) then it will fall into place. You do not have the right to access any and all forms of entertainment just for the sake of it and do not kid yourself that participating in that practice is “good for the artist”. That old chestnut is just plain wrong.